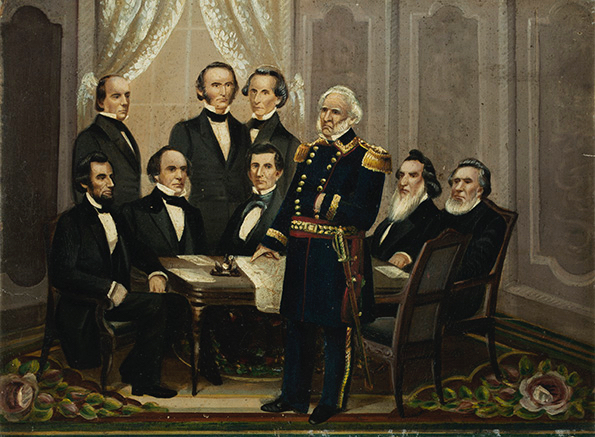 Lincoln's First Cabinet. Circa 1861. Oil on cardboard. Inscribed "This picture of President Linclons [sic] first cabinet was painted by a young soldier and presented to me Isabella D. Rees, Washington D.C. January, 1864," verso. 11 7/8" x 15 3/4" (30.2 x 40 cm). After an illustration in Harper's Weekly (based on a composite photograph by Mathew Brady).